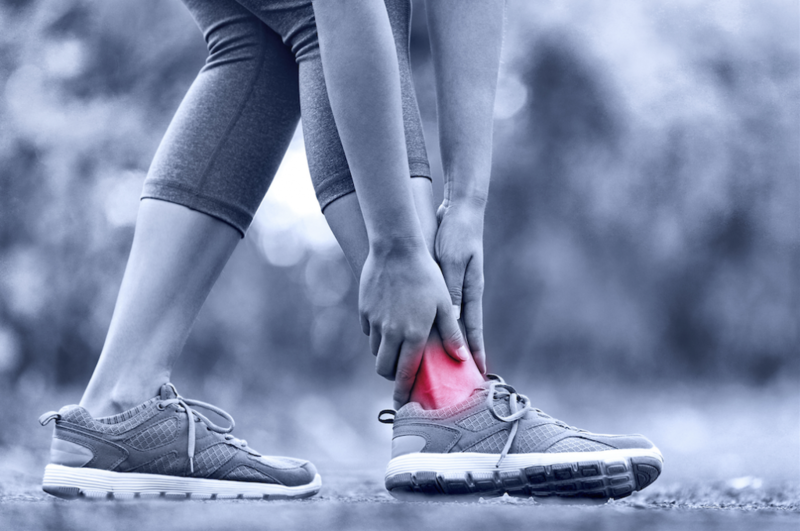 Ankle sprains are an exceedingly common injury and unfortunately are often not well rehabilitated. A simple ankle sprain which just involves a few ligament fibers can settle within a week and allow return to normal function (even sport) and not require any treatment. A moderate ankle sprain will be uncomfortable to walk on, will be obviously swollen usually with some bruising & discoloration and typically require 3 to 4 weeks off sporting activities – but should allow normal walking within a week or two. If pain levels are more severe and daily activities are compromised for longer periods (more than a week) then we are suspicious of more serious ligament damage which does not just involve the Lateral ankle ligaments (outside of foot) but may also involve the ligaments of the mid-foot, medial ankle (inner ankle) or the joint above the ankle socket known as the Syndesmosis. There are a number of different clinical tests required to determine the extent of damage and of course plan the most specific type of treatment required. There is another complicating factor of severe ankle sprains which involves joint surface bruising or worse , Cartilage Damage. These cases must be recognized and managed differently from normal ankle sprains, can sometimes require a surgical intervention and are certainly more long-term and challenging to treat. From a physiotherapy perspective the key is recognizing the extent of damage early and planning the rehabilitation program to achieve the fastest possible recovery. Recurrent ankle sprains are a major problem and a huge amount of research has been undertaken internationally to address this issue. Despite all this research the most striking conclusion is that the biggest risk factor for recurrent ankle sprain is a history of previous ankle sprains. This is complicated by the fact that frequently the management strategy is to rest, take it easy, use anti-inflammatories and “see how it goes”. What we see commonly clinically is that pain and swelling may settle with activities of daily living but the ankle just doesn’t feel right or is unstable on uneven ground, with sudden movement, impact or reduced attention. We see this so frequently clinically and it is because there are residual problems of hidden flexibility deficits, reduced muscle strength, poor coordination and compensatory movements which shift the point of pressure away from the injured area. The role of physiotherapy assessment is to identify / exclude the presence of these components and restore normal function / load tolerance to ensure return to pre-injury status.